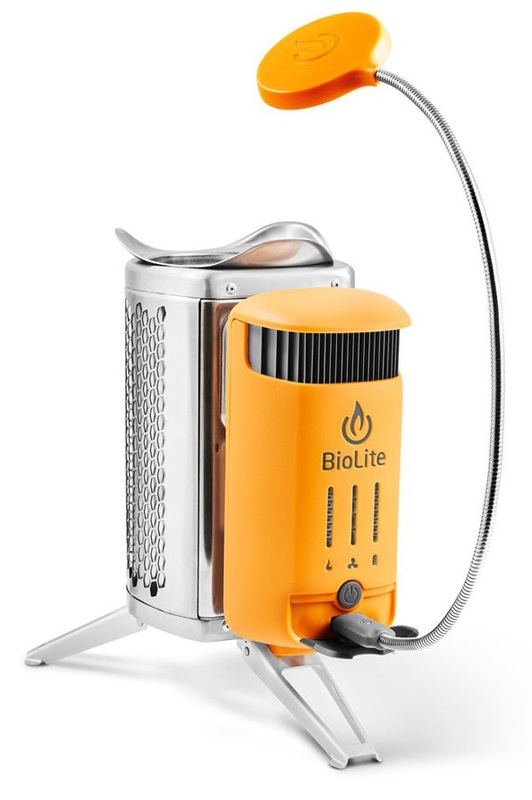 Add a BioLite camp kitchen accessory! 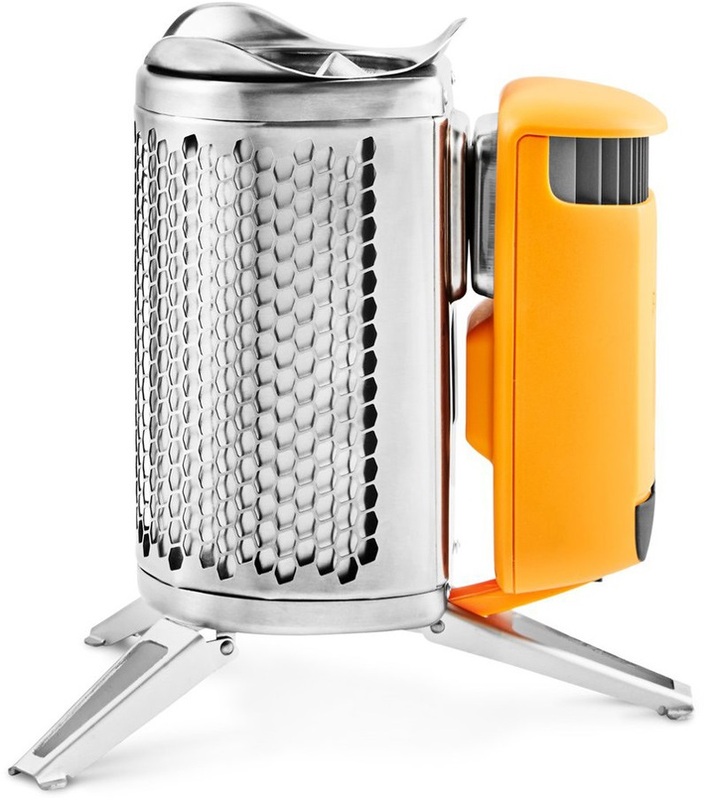 Portable wood burning campstove with innovative thermoelectric device charger. 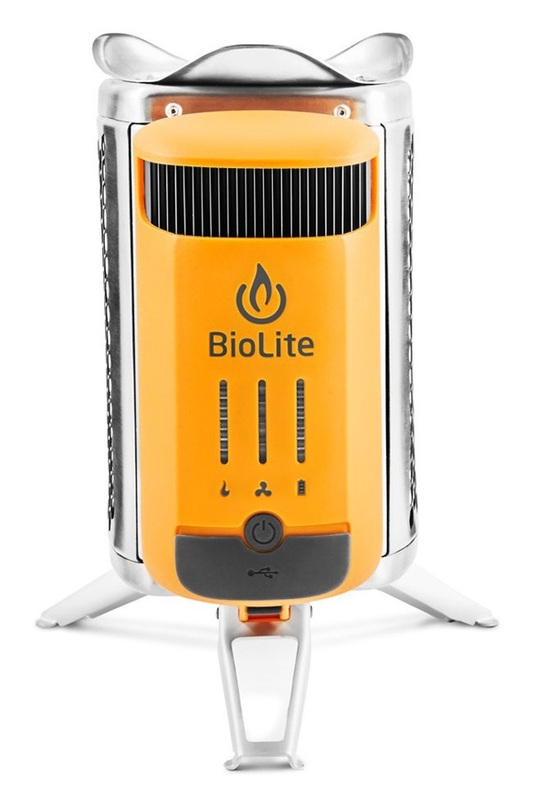 Founded on the principle of sustainability, BioLite fuses the needs of families living in energy poverty with those of outdoor enthusiasts to bring you portable wood-burning stoves that convert heat into usable electricity for everyday use by anyone, anywhere. The upgraded CampStove 2 features 50% more power than its predecessor, an integrated battery, and a user-friendly LED dashboard for real-time feedback on fire strength, fan levels, and available power giving you complete control. The Campstove 2 runs entirely on wood and other biomass fuel removing the need for bulky fossil-based combustibles. 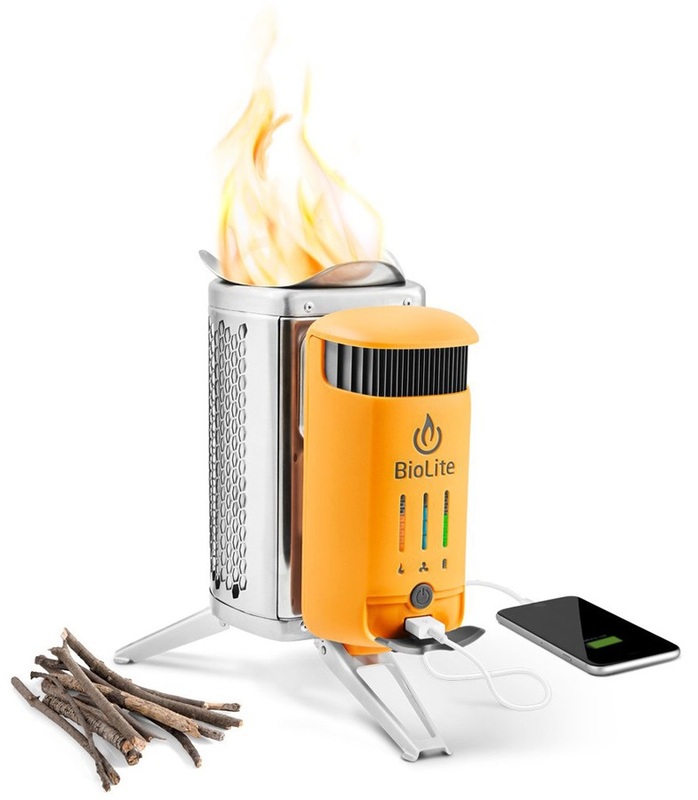 This smokeless campfire is able to cook a meal or boil water all the while using BioLite's patented thermoelectric technology to generate electricity from waste heat to recharge connected devices; from mobile phones and LED lighting to GPS, POV cameras and more. Updated thermoelectrics now provide 3 watts of continuous power for greater charging performance. The Campstove 2's new onboard battery also lets you store power. Simply charge-up before you go and carry a reserve of power with you on your trip to recharge or top-up devices as you go. This innovative, off-grid design reduces the fuel consumption of a traditional open wood-fire by up to 50% while reducing toxic emissions for a cleaner, safer and more efficient heat source. The system features an internal fan - now with 4-speed settings - for improved control and air-flow to increase efficiency and cook times. A scalloped pot stand keeps cookware in place while lightweight aluminium legs fold out for added stability in challenging terrain. This package includes a stuff-sack, firestarter, and the BioLite USB FlexLight allowing you to cook, read or just stave off the darkness of a long night. 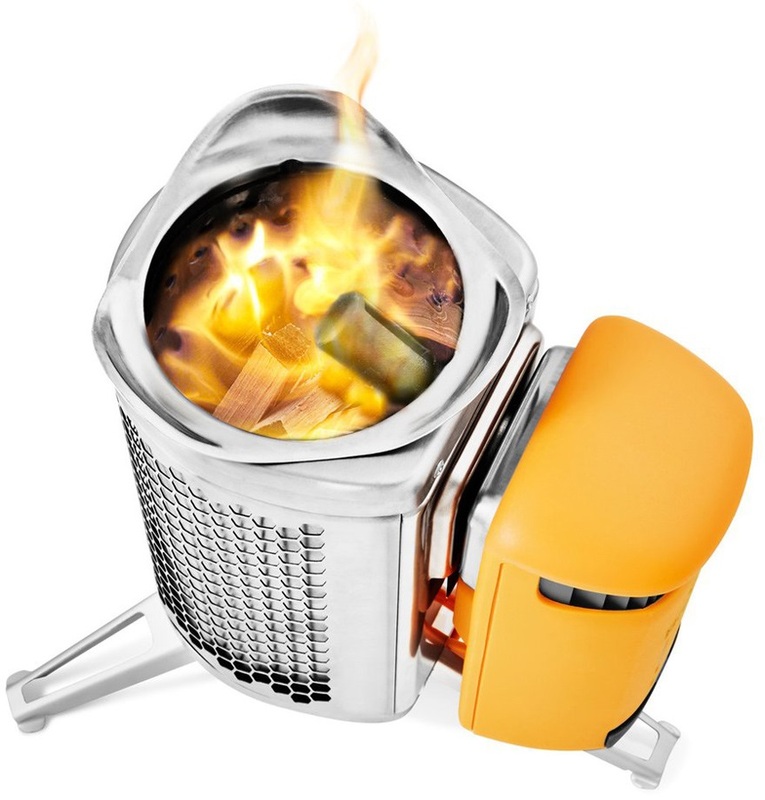 The CampStove fits in a pack and is supported by a range of cooking accessories to make it a great alternative stove for campers, hikers and those looking for that traditional campfire experience with uniquely modern convenience. Cook and charge with this sustainable alternative from BioLite!